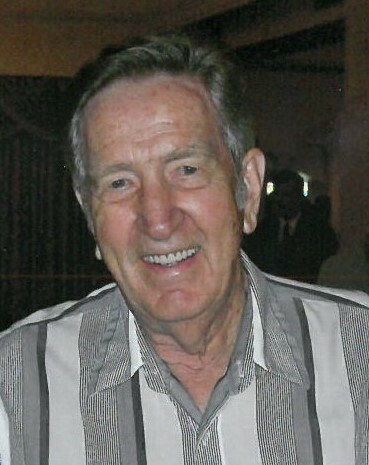 David “Bud” Smith, age 87, a resident of Hayward, died on Saturday, April 6, 2019, at the Hayward Area Memorial Hospital. Township High School in 1949. After serving in the Naval Reserve for two years, David joined the U. S.
Navy and served on the USS Pollux, servicing the fleet in Japan and Korea. and started his own painting and wallpapering business in 1954. Wednesday lunch at a Chinese restaurant. A celebration of David’s life will be held on Friday, April 12, at 3pm at the Hayward Funeral Home with Pastor Gary Hilgendorf officiating. Visitation will be held on Friday, from 2-3pm at the Funeral Home. Interment will be at the Greenwood Cemetery in Hayward next to his wife Fran. In lieu of flowers, donations may be made to the Sawyer County Senior Center.